Instructions: Spinner card size is 6 x 6". Cut white cardstock 6 x 12", score and fold at 6". Cut designer paper to 5 7/8 x 5 7/8", ink with Carnation Red ink and adhere onto card base. Using the border dies, cut designer paper, to appear like sand borders. Adhere along the bottom of card, allowing it to stand away from the card base. Die cut aqua designer paper using border dies and circle from the small circle die set, ink edges with Paradise Teal ink. Die cut an additional larger circle from the large set. Using foam dots adhere aqua shape onto card base. Adhere aqua circle directly onto card base with Dries Clear glue. Use sponge to apply Dries Clear Glue onto paper as desired, sprinkle with Crystal Clear and allow to dry. Stamp shells, fish and turtle in Colorbox Brown ink, stamp leaves in black ink and die cut with coordinating dies. Color shells with Coffee, Carnation Red, Emerald Green and Vibrant Fuchsia inks. Color turtle and leaf with Vivid Chartreuse and Leaf Green ink. Fish in Buttercup, Bright Tangelo, Carnation Red and Vibrant Fuchsia inks. Shape all using Deluxe Flower Shaping kit. 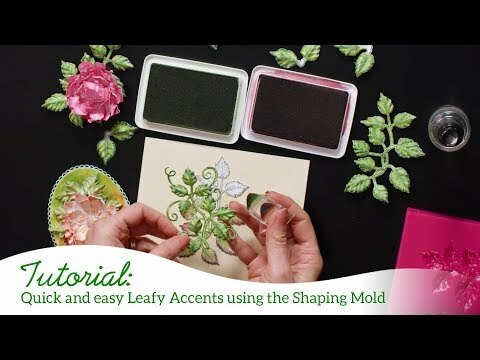 Use mold for leaves. Die cut circle from the small circle set onto white cardstock, stamp sentiment using Carnation Red ink. Adhere two pennies together using a round foam dot and place penny stack in aqua circle opening, along the edge. Add foam dots to white sentiment circle and adhere to center of circle opening (the penny will be inserted inside the circle). Add another foam dot on top of the penny layer and add fish. Doing this will allow the pennies to spin around circle opening. I suggest always using round foam dots the same size as the spinner opening, allowing it to slide around and spin easily. Adhere rest of pieces as shown, making sure nothing overlaps where the spinning fish will need to spin around. 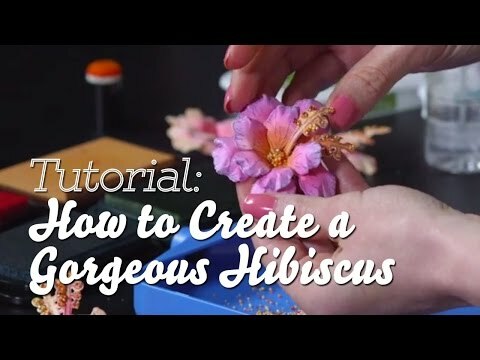 Add Lions Mane glitter and Crystal lacquer as desired.